Meet Hélène, the Parisian adopted daughter, brought up in a comfortable manner but one where a veil of restraint fell around Hélène’s birth mother and the circumstances of her death. Locked in the strange, suspended and reflective after world of bereavement following her adopted father’s death, Hélène picks through the letters and photographs of her parent’s past. In a book she finds a faded photograph, seemingly of her mother with two gentlemen in a setting she does not recognise. Compelled to find out the truth surrounding her past Hélène places an advert in a newspaper in the hope that someone might provide her with the answers she craves. Stéphane replies and what unfolds is a dark and achingly sad story of lost love, desperate decisions and the search for identity. 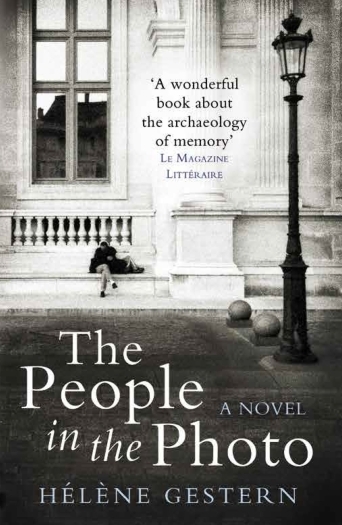 The People in the Photo is a novel that follows the epistolary format but for the modern age. The story develops, almost breathlessly, through a collection of letters, emails, phone and text messages that enables the sense of distance felt keenly between Hélène and Stéphane. At key junctures there are pauses for beautifully described photographs; scenes of a distant past and the people within them. These gentle portraits bring to life questions, and eventually answers, that help to drive the correspondence forward between Hélène and Stéphane. Artefacts of a personal history, colours muted by silence, the photographs finally give Hélène, and Stéphane, the truest sense of who they really are.